All new double kit with rear facing compatibility (this configuration is compatible with navigator with auto-stop brake only). A luxury compact stroller that glides on air. Air filled tires, plush fabrics and a sleek urban design... the ultimate in compact stroller luxury including 21 riding options for your baby. With a super slim 22" width, smart folds down to become even more compact, so storage and space is never an issue in apartments, trunks or small cafes. Complete with 10" puncture-proof aerotech tires, all wheel suspension & a fabric sling that puts weight in all the right places for the ultimate curb pop, smart knows how to handle the city. 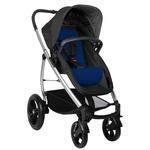 This stroller from Phil & Teds features an auto-stop function that stops the stroller when you release the handlebar. 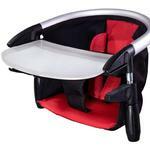 dot is a compact&metro ready inline that helps parents maneuver with ease through tight spaces. With the double kit (second seat) included, dot provides parents with even more options for 1 or 2 kids. Clever engineering makes dot easy to push & pop up over curbs and has a light&easy compact fold and at only 23 inches, a super slim width with a supersized seat. Check out the New Phil & Teds Smart Stroller + Peanut Bundle! Featuring the new small, compact and lightweight Smart Stroller; It's easy to manuever with 2 position seat recline. And the Peanut is a perfect Newborn sleep-on-the-go-buggy-bassinet. Whether your out and about or at home, baby's sleep and play time is coverd with traveller - the only portacot that is lighter that the baby. 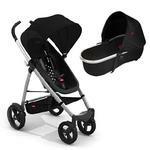 Cute & compact, parade is strong enough to carry children up to 40lbs, folds flat and is lightweight. The comfort of parade’s active-ergo fit harness, supportive child cockpit & air-tech ventilated back ensures your family’s well-being. With the convenience of a stand & detachable mini backpack, parade is both festive & functional. The lobster is lightweight, with flat-packing portability and quick-smart clamping for ease of use with virtually any table. The lobster claws twist to grip tables from 0.8 - 3.75 " thick for a secure, fuss-free attachment. Weighing just under 4 pounds, the lobster is extremely travel-friendly, making it convenient to take to restaurants, on family vacations or to grandma's house. These Mesh UV Covers protect your youngester's eyes from the bright sun. It also lets air in and keeps bugs out. Simply clip it on and a stroll in the park is a picnic. Provides 80% UV protection. Available for Phil & Teds Single and Double Strollers and the Peanut Bassinet. 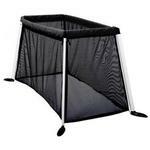 These Storm Plastic Covers protect your youngseters from the elements. It also lets air in and keeps bugs out. Cover is waterproof and specially fitted to allow maximum air flow and breathability, as well as superb visibility. Available for Phil & Teds Single and Double Strollers and the Peanut Bassinet. 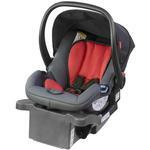 Use your infant car seat with a Phil & Teds buggy! Move your Infant Car Seats from the car to your Phil & Teds Stroller without waking baby. Simply click to install, and off you go! The Mini-Diddie fits inside Phil & Teds Diddie Bag. 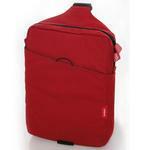 It's the perfect size for your laptop and comes with a changing mat in a removable storage bag. Lots of colors to choose from to match your buggy and your style! If you are a first time parent looking to keep up with the times then Phil and Teds is the brand for you. Its modern design has been a breath of fresh air for those who are tired of tradition. Founded in New Zealand in 1994 Phil & Teds has succeeded in creating some of the most innovative baby products to date. 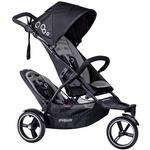 It all starts with their strollers which features a sleek design not seen by any other manufacturer. Phil & Teds has created a stroller that not only looks great but rides great as well. Functionality is top priority. 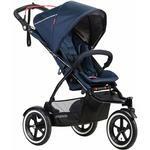 The most popular is the phil and teds Classic Buggy. 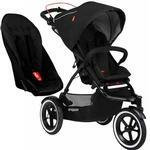 With its neutral black and red color scheme this stroller actually has the ability to transport not one but two children when the optional doubles kit is purchased. No more bulky double strollers. The Phil & Teds Classic Buggy w/Doubles kit allows parents to maneuver through malls with ease. Looking for lightweight? Try the Phil & Teds Smart Buggy. 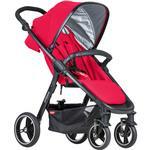 Its 11 pound frame makes it one of the lightest and most compact strollers on the market. 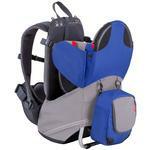 Phil & Teds also provides a variety of accessories that will keep you and your baby up to date. 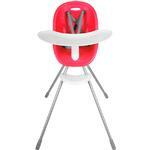 Travel cribs, high chairs and carrycots are all a part of the Phil & Ted``s family. Carry your baby around in style and comfort with one of their merino lined baby carriers which were made specifically to protect the soft skin of your child. With Phil & Ted``s great product design and affordable prices you will be a fan from the first purchase. If you strive to be the hippest parent in your neighborhood then look no further than Phil & Teds.